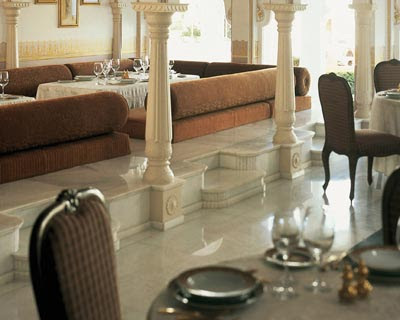 ...where beauty, grandeur and royalty come together to give you the ultimate luxurious experience. 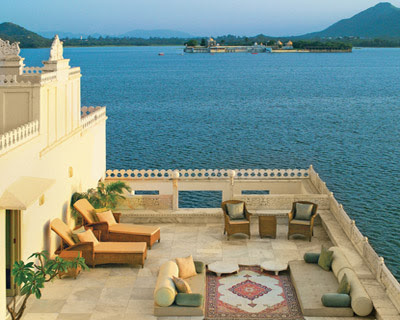 The Lake Palace at Udaipur is a 250 years old marble palace built on 4 acres of natural rock in Lake Pichola. It gives an impression of floating on the placid water of the lake. 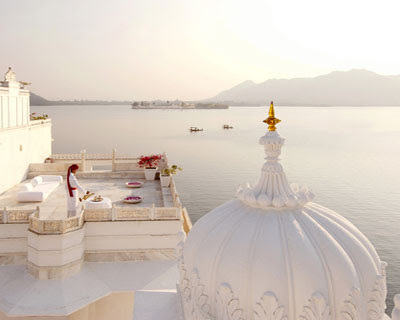 The hotel is reached by boat from the shores of Lake Pichola. 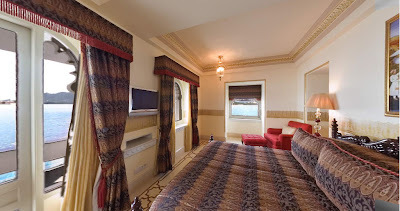 The Palace Hotel has many Luxury Rooms, Royal Suites, Palace Rooms each decorated in traditional royal style. 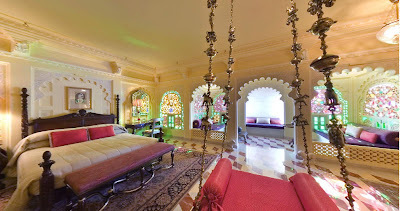 Khushmahal Suite Bedroom with antique brass swing Carved elephants in the Chandraprakash Suite Bedroom. 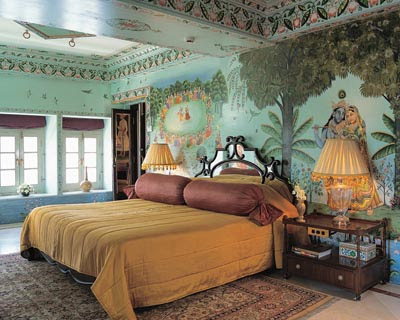 Exquisite paintings of Gods & Goddesses in one of their bedrooms. 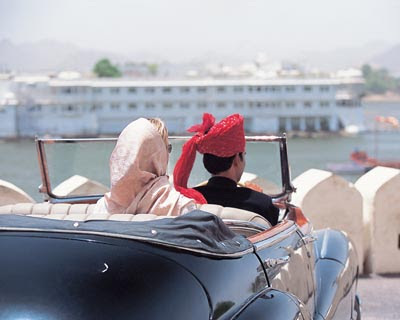 Finally a vintage car drop to the airport a finale' to your royal experience. Spectacular photos! I'm adding your link to my blog...thanks! 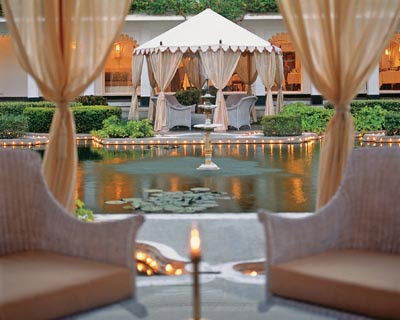 I love this place , wonderful so glamour and chic . I'm breathless. melanie- Thanks:-)It is really beautiful. 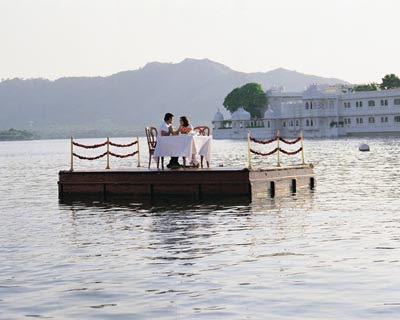 You should definitely visit Udaipur...!!! 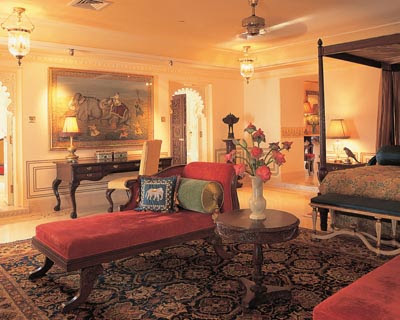 I love Rajasthan and is palaces, forts, its colours- jaipurs pink & jodhpurs blue... 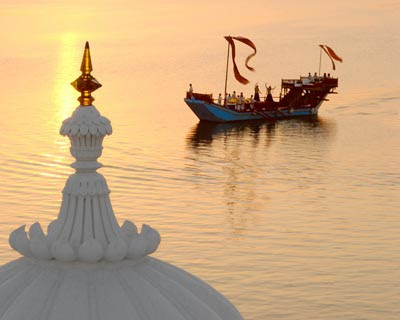 This post is soo beautiful archana! What an absolute treat it would be to live here for a few days! The photographs are to die for- I love the whole white pristine feel. 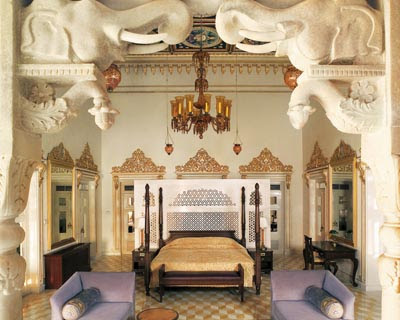 The palaces, once upon a free access to common man is now accessible to only somebody with deep pockets. Return of the colonial Raj in a way. This is certainly one of the best hotels we have stayed in so far. awwwwwww! I love this hotel. I wanted to post it over at my blog as well. I realy like your blog. I will be linking you! Wow! These images are gorgeous! Can't wait to check out the rest of your blog! gosh, you have a real awesome blog! I'm linking you up. This is so amazing. One of the most spectacular places I have ever seen!! Just pristine. Even looking at the photographs makes me feel calm! The decor of this place is so calming.just the right amount of colours, not at all overdone! I part with Anrosh's comment then again I am nodding to what you say. if it would have been a heritage site or even a museum, by now it would have lost all its grandeur! Wow, that is spectacular, I am always searching for amazing places to inspire people and this is right up there with the best I've seen! I'm enthralled and linking accordingly. Thoroughly enjoy your lovely blog. Thanks so much! Nice blog! 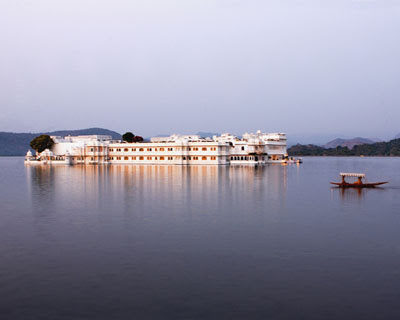 I had the opportunity to visit this palace several years back while traveling with "Palace on Wheels." It was odd to see India from a tourist's perspective, but lovely. 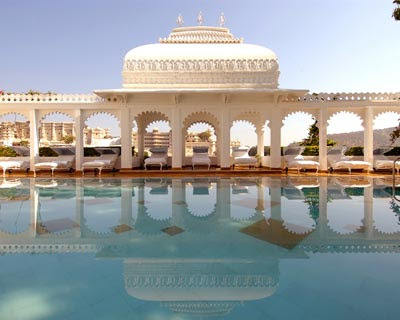 There are so many gorgeous palaces and forts in Rajasthan and I'm glad you've highlighted this one.